Home / Games / Idle Apocalypse: Cult Resource Management! Beside to the current game with advanced graphics technology, the classic game with classic graphics still retains a certain place. These games not only with the familiar classic graphics but also the gameplay are very diverse to be able to attract players. With the theme I mentioned above, today I will introduce you a game with a classic style that is Idle Apocalypse. Idle Apocalypse has just been released this year by Iron Horse Games. The content of the game is quite different from the game you often play. In most games you will create a group of heroes to protect and rescue the world, Idle Apocalypse is completely reverse. Your goal in this game is to destroy the world and to do this task you need to build a strong army of monsters. In Idle Apocalypse, the important thing to do is to do everything possible to summon evil spirits and make your demon army stronger. So when entering the game the first thing you need to do is use your dark energy to summon the first demon. For example, you use 1 million dark energy to summon Larth (Demon). 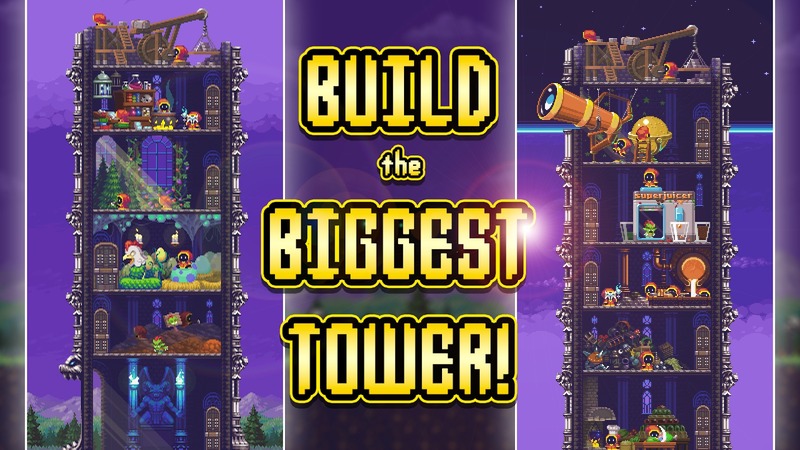 Then you will build towers, collect dark energy to summon other demons. Next, we have to find the soul, it will help you unlock the rocket and you can get the hammer. The kitchen is a very necessary thing to unlock the glass house and you need the hammer to complete that. Once the greenhouse has been unlocked, here you can pick up wood to upgrade the mud farm and then unlock new demons with huge damage. 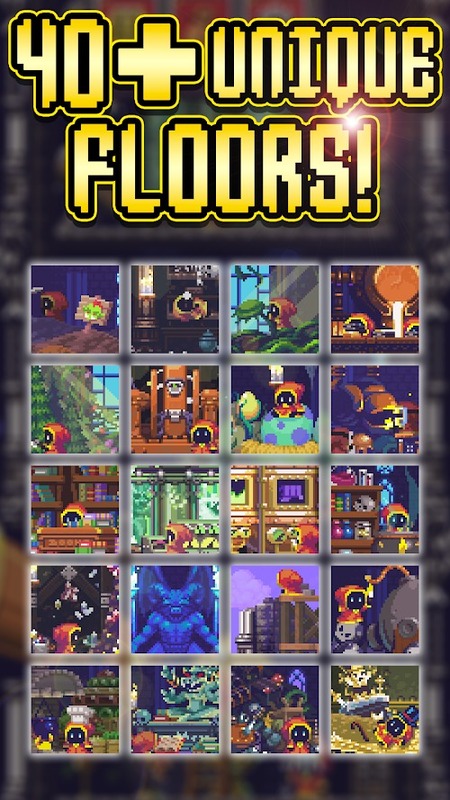 In addition, you will build other houses, typically library is where you can use materials to enhance, such as boosting damage to demons and producing dark energy. Magic workshop is which produces magic components like fairy dust, magic books and more. There are also many other houses that you need to build, in order to know the details of the houses, you can click on their icons while playing. In addition to building, you can also upgrade buildings. This upgrade helps you to open up a new item or monster. Just like when you want to unlock a new beast, you must upgrade your hatchery. A new goblin will appear when you upgrade the mud farm. 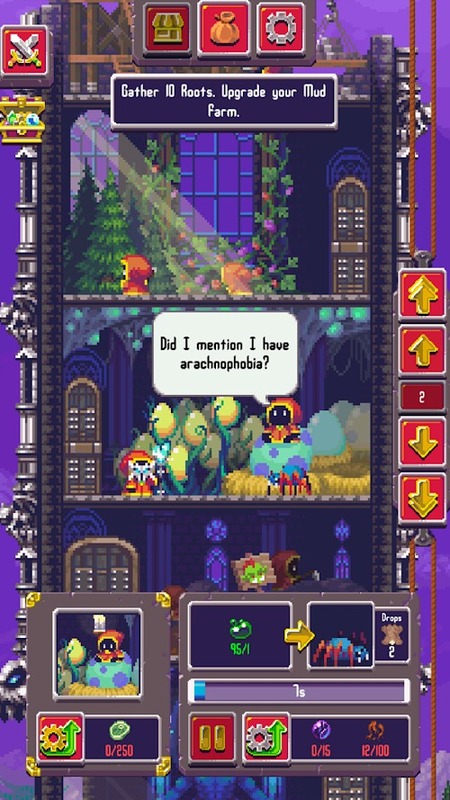 As mentioned above, Idle Apocalypse consists of many buildings and each building can only produce one thing at a time. Therefore, you need to ensure that the production chain is maintained and that it is well managed to balance the output. When all is ready, you will join the battle area to destroy the predators and acquire more valuable resources. The fighting mechanism in the game is pretty simple, everything is almost auto attack, so the important thing you need to do is build your base. Idle Apocalypse has 8-bit graphics designed simply in a classic style. Although not really prominent but the game brings us a sense of nostalgia. Background in the game with the dark color tones creates more mystery, scary for your evil world. There are not many highlights of the game but the game gives you a lot of fun. Games are now available for free on the Google Play and the App Store. if you are ready, you experience with us by download the game via the links below. 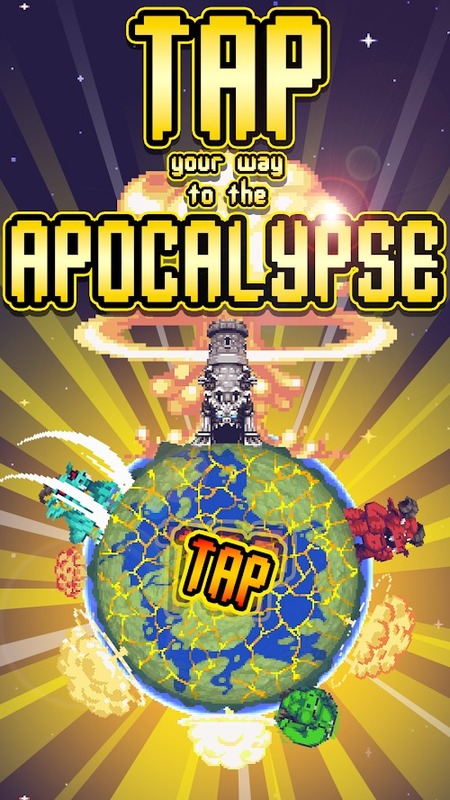 Idle Apocalypse MOD APK is ready to download! Depending on your needs, you can download Idle Apocalypse MOD APK or Idle Apocalypse Original APK. Or install from Google Play / App Store if you want.